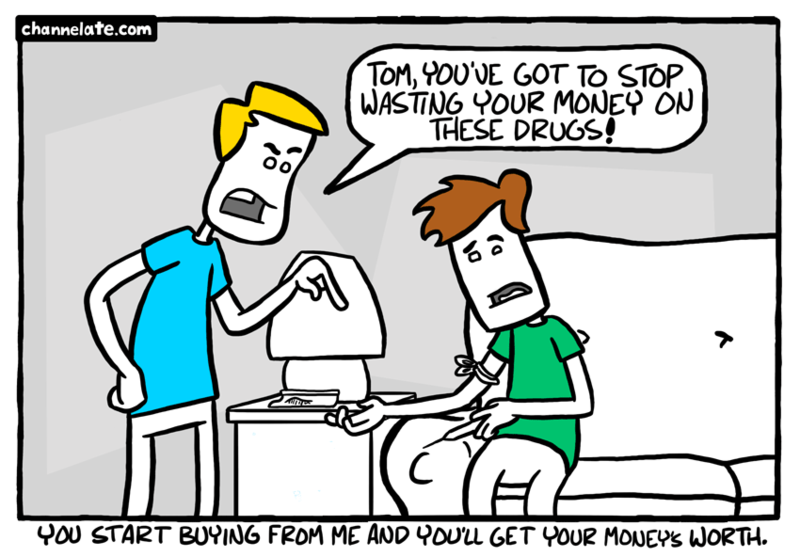 Drugs! Just say no (they always drop their price in the end). Legalize and regulate. Regulators, mount up. as an avid non-drug user, this still made me laugh. I now, officially, love this comic! Note to self: Connections are always the way to go. Wow, these comics are awesome. Your humor is truly the best!